Low cost for equipment maintenance. Since 2012, it is mandatory to assess the integrity of the room air leakage to determine if a depressurization (venting) trap is required. Despite popular belief, it is proven that the release of a Novec 1230 system causes significant negative and positive surges of pressure that can damage the architectural envelop of the protected hazard. We ensure this expertise through our trained technicians and the most technologically advance equipment. Requires a perfectly sealed room. We assess the sealing of the rooms with the most recent technology of Retrotec, and our technicians have level I, II & III certifications. 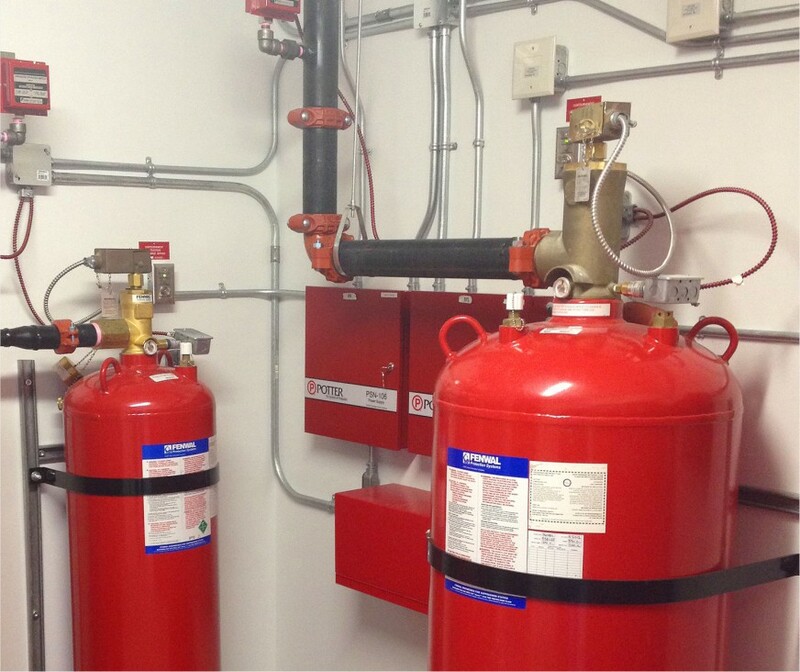 Sensitive system regarding hydraulic elements, gas cylinders must be in an adjacent room or in a surrounding area. Risk of agent decomposition products and combustion products. No collateral damage following release. Relatively rapid re-activation of equipment following a fire.